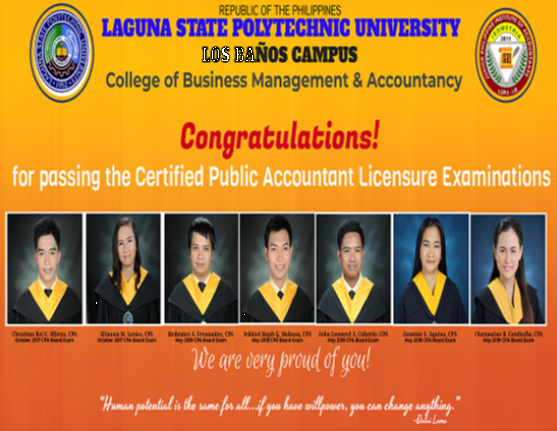 LSPU Los Baños Congratulates new CPAs from October 2017 and May 2018 Board exam. Emelyn C. Wagan, Ed. 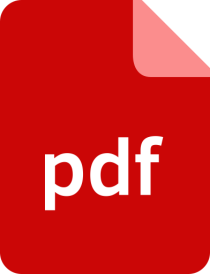 D.
Maria De Ocampo Cerezo, RND, Ph.D.
Congratulations! 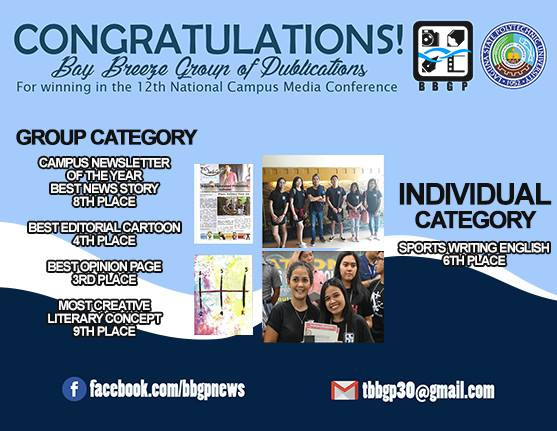 The Bay Breeze Group of Publications - SALAKAB- the official campus newsletter and Lambat Volume I Issue No. 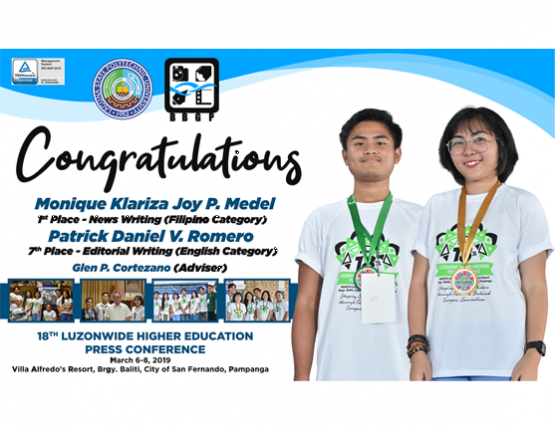 III, KAMBYO, the official literary folio, and Jane Raquel Bobadilla, News Editor, won various group and individual category awards in the 12th National Media Conference of the School Paper Advisers Movement, Inc., held in Eurotel, Angeles City, Pampanga last September 12-14, 2018. 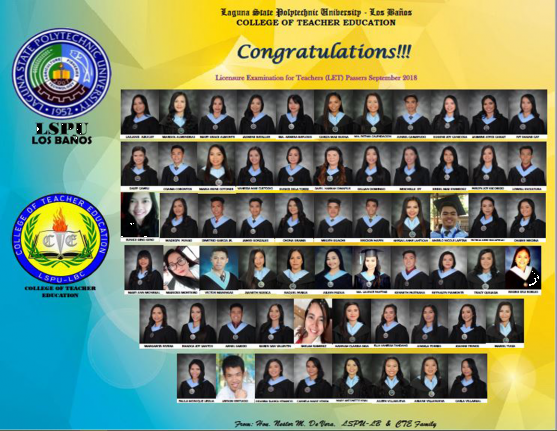 Your LSPU-LB Campus family is proud of you! 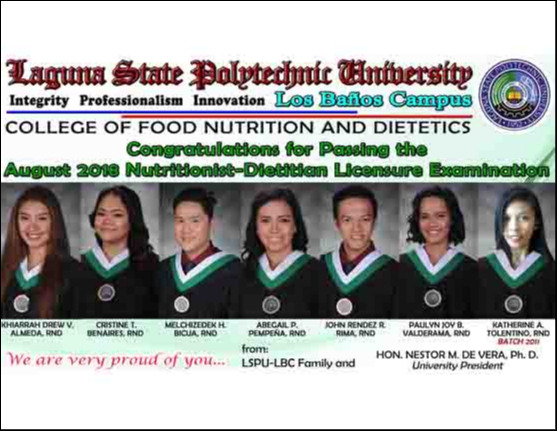 LSPU Los Baños Campus and the University President, Dr. Nestor M. De Vera congratulate the New Registered Nutritionist-Dietitians. 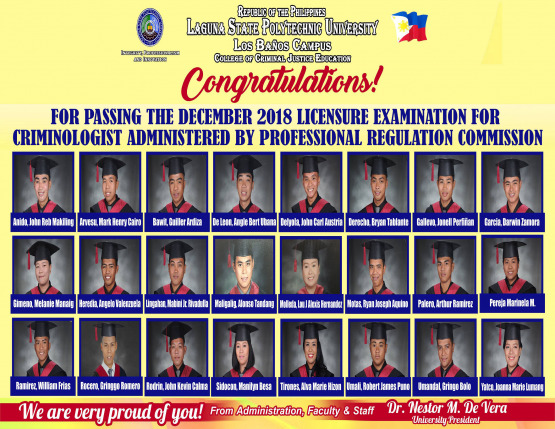 The 2018 Nutritionist-Dietitian Licensure Examination was given by the Board of Nutrition and Dietetics in Manila, Baguio, Cebu, Davao and Zamboanga last August 19-20, 2018.